I am loving my new experiences with block printing! What a fun delight! 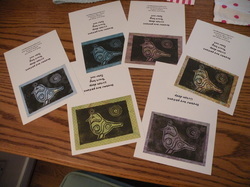 Currently, you can purchase the cards pictured here (a set of 6) with envelopes for $18.00 which includes shipping. The inside of the card is blank, but the back of the card reads: Dreams are patient. Listen deep. Trust long. Fear not. I still believe that a little piece of art in a mailbox with handwritten, kind words attached can absolutely bless someone's day! The sets of cards are photocopies of the original block prints. If you have an interest in original prints, I think that is totally cool! Contact me for pricing on original prints. You can view some of my photo gift book at this link. Please contact me directly to order them. The soft covered books currently sell for $20.00 plus shipping. Hard covered books are $30.00 plus shipping. The current selection includes Comfort Through the Lens of Richmond Hill: A Retreat for the Eyes and Soul. This book is full of photos of Richmond Hill, which is a lovely retreat center in Richmond, Virginia. Each photo is captioned with a meditative scripture. There is also a book designed with women in mind (Beautiful Orchids Make Me Think of You) that features exquisite photographs of a variety of orchids. The sentiment included is one of gratitude and blessing. The third book (Best Lessons) is designed as a gift to teachers. It speaks of lessons taught outside of the curriculum or lesson plans that stay with us forever. My most recent book is entitled: Light and Shadow: Holy Companions. It is designed as an encouragement for anyone in the midst of dark times. When you don't know what to give someone you love... simply hold out beauty. These offerings might bless in that way! Commissioned Samples of my Art and Joy. These have already sold! But you can contact me with your own ideas and creativity! Let's celebrate life visually together! 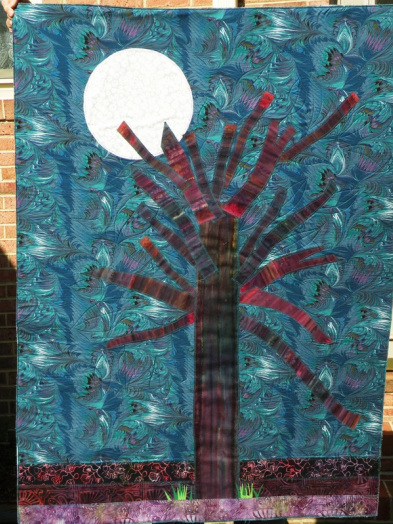 This is a Lenten Wall Hanging that was commissioned by the Woodbridge Church of the Brethren. 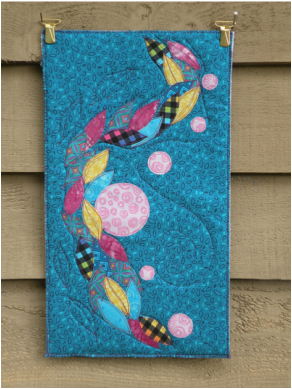 These fit standard sized pillows and come in either beautiful cotton fabrics or stunning batiks. The words "Pray until you can rest. Rest until you can pray" are hand-stamped on each case with permanent ink. 'beautifully tending' to me and my family." Joy P.
There have been times in my life, when I couldn't sleep. Likewise, there have been times in my life, when I couldn't pray. In such times, health comes when we yield, when we allow the tending of what simply is. cried into my own pillow. 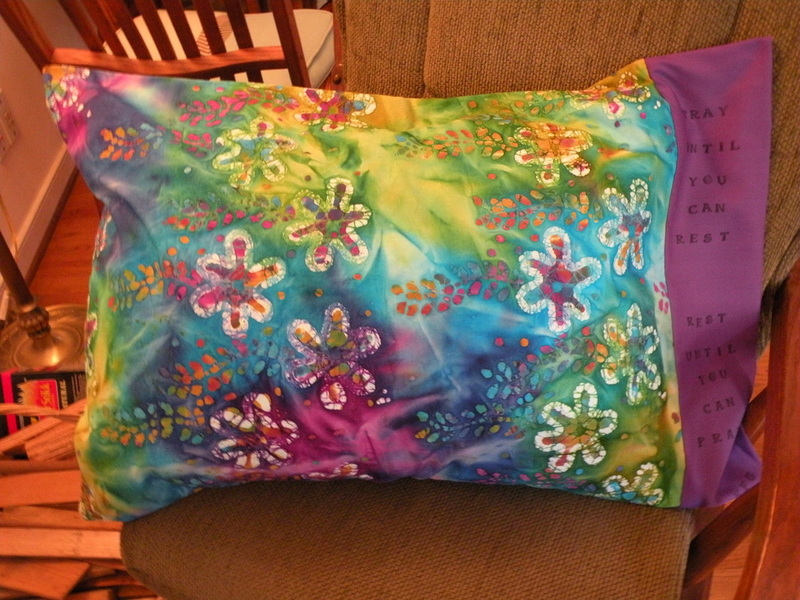 Both pillows and pillowcases can be made for you or for one you love. I've often thought that the pillowcases would be wonderful gifts for those in the military or those who are in recovery from surgery or illness. You can order these at any time! when rest is hard to find anywhere else. Sending Love and Prayers: Entering the 5th year in 2012!! 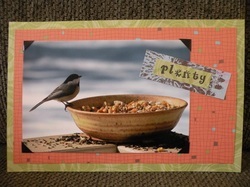 Sending Love and Prayers is a Card Subscription for 2012. This subscription includes 6 mailings that honor the following days: Dream Day (Martin Luther King Day) in January, World Day of Prayer in March, National Teacher's Day in May, International Day of Forgiveness in August, International Day of Prayer for Peace in September, and A Blessing for the New Year in December. The hope is to open awareness, to offer blessing and healing, and to remind the recipients that they are valued and loved. For $40.00, you send me the name and address of the recipient as well as the name and address of the giver. I take care of the rest! In the January mailing, I enclose an additonal note to inform the recipient that this is a year-long gift, when they can expect cards, and the name of the person who purchased this for them! All of the work is my own, but the inspiration is from the Maker of us all. I often pray as I create with the hope that as each card is opened, the recipient will find a hidden nuggut of hope and happiness within. I believe that a card in the mail from a loved one is a traditon that bears great delight in these days and times. While it is most delightful to do this at the beginning of the year, feel free to jump in at any time!! "This is a really amazing gift/service/blessing you can offer others this next year. For the person who has everything, who doesn't have much room, who loves handmade, soulful gifts, who is lonely, who likes receiving mail in their mailbox, who loves beautiful things, who wants to support a small, independent entrepreneur/artist, who wants to spread grace, love, and peace throughout the year, or who wants something completely unique. Highly recommended, highly affordable. Check it out!" Contact Kathy at beautifultendings@yahoo.com to place your order!